The Tonight Show is moving from one smug cultural petri dish to another, thanks to Jimmy Fallon, who will be taking the show back to NYC when he replaces Jay Leno next month. 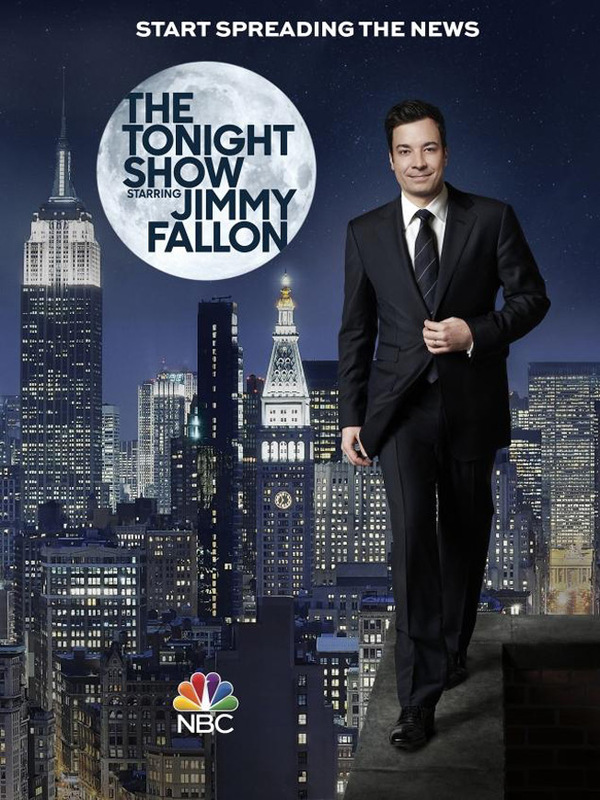 To commemorate this historic shift into reverse gear, NBC has released a print ad of a snappily dressed Fallon walking the edge of a high-rise building in Manhattan. I have to say, it's weird to see Fallon looking directly into a camera without corpsing like an amateur. It's a pretty standard ad for this sort of thing, but it gets the point across and the skyline is cool, which is all they need to prompt New Yorkers to pat themselves on the back about yet another thing. Below is the first TV promo, which features all the past hosts of the show—even, for literally half a second, Conan O'Brien.